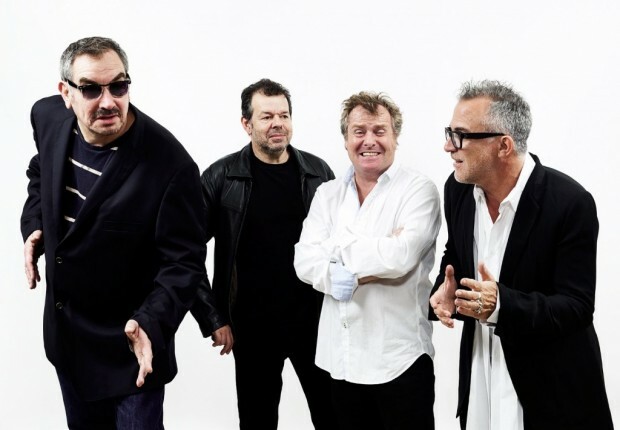 The Pop Group in 2014. Photo by Chiara Meattelli and Dominic Lee Web. Barely pausing for breath, 2015 has managed to dig its roots deep, attempting to cast a sonic shadow over its just-gone predecessor. 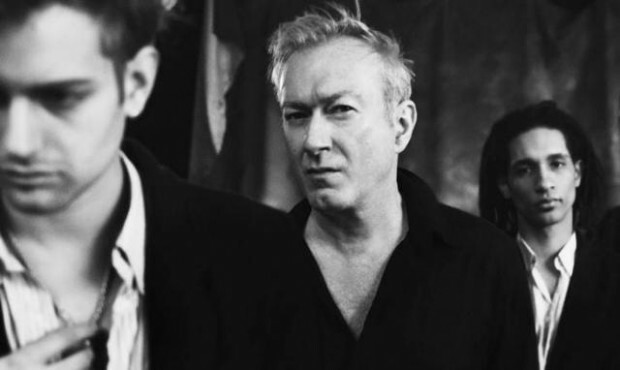 A mere sprinkle of months in, both THE POP GROUP and GANG OF FOUR have emerged and announced the release of records, to the delight of post-punkers the globe over. As NOTHING BUT HOPE AND PASSION sits down to go about the process of devouring and passing judgement upon them, the question begs; where do these acts sit today? Do they still matter? Put briefly, they certainly do. The influence of acts like GANG OF FOUR and THE POP GROUP upon those who’ve come after them is difficult to overestimate. 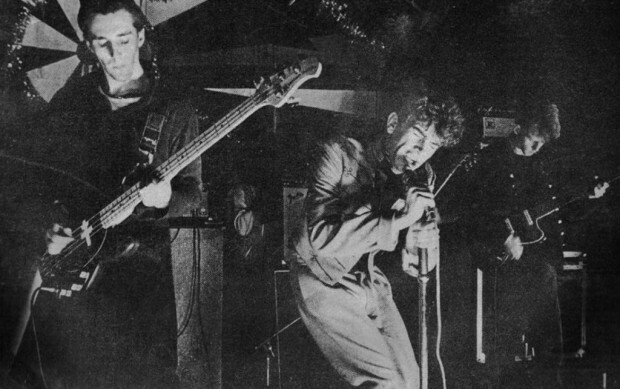 GANG OF FOUR‘s debut, Entertainment! – which was released almost forty years ago – remains a masterpiece that rings with the same incredible resonance that it did when it first hit record players. 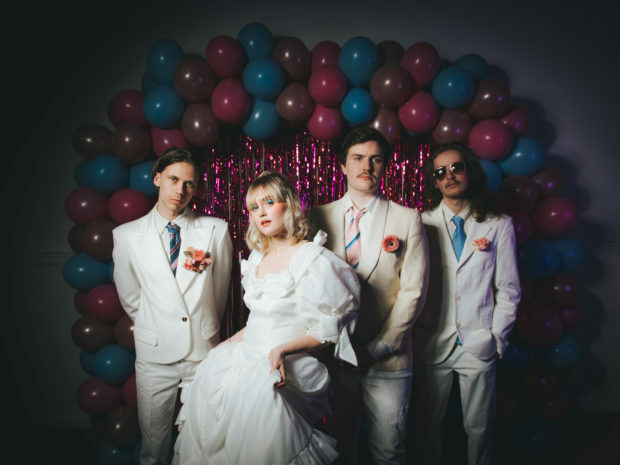 The GANG have established a weighty name for themselves for their fiery, stripped-back sound and politically motivated drive. Their sound quickly became a signature; heavy basslines that bordered on funk coupled with brash guitars and intelligent, poignant lyrics. For one thing, it seems unlikely that a band like THE STROKES would have ever eventuated without the roaring hook of a track such as Damaged Goods. Unfortunately, GANG OF FOUR didn’t receive the mainstream furore of those that cropped up in the decades to come. As the anecdote goes, the band were invited to appear on BBC’s Top of the Pops in 1979 – but they walked off when the channel requested that they replace a lyric mentioning ‘rubbers’ to ‘rubbish’. This led to the single being banned by both the BBC’s radio and television networks, the snowball effect seeing that the band lost support from EMI, who purportedly began to push DURAN DURAN instead. GANG OF FOUR bravely and smoothly rebuked all of the habits society was unknowingly forcing upon itself, including love – their classic single Anthrax dealt it a succession of swift blows with the equation that “love is like a case of anthrax, and that’s something I don’t want to catch”. What’s powerful about GANG OF FOUR is that their criticisms ring just as true today, if not more so. The music hasn’t aged a day, and neither has the message. Last man standing? Andy Gill and the Gang Of Four line-up of 2015. It’s a similar story for THE POP GROUP. In 1977, as GANG OF FOUR were getting together in Leeds, they were doing the same over in Bristol. 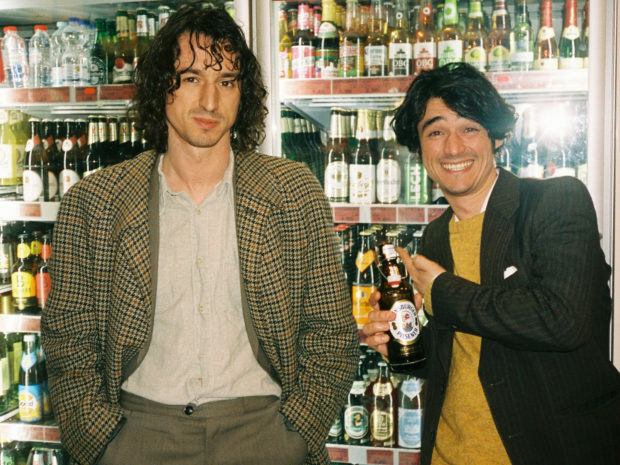 Drawing inspiration from a myriad influences including MILES DAVIS and CAPTAIN BEEFHEART with a solid dosing of punk, their offerings also featured a fresh aesthetic that combined experimental elements of free jazz and dub and since been named as a point of inspiration for infamous Australian songman NICK CAVE. 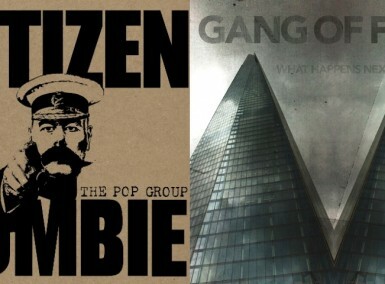 While GANG OF FOUR were reading into neo-Marxism, THE POP GROUP took an existential lean. The sonic collaboration was sadly short-lived, with the band breaking up in 1981; in 2010, however, their return was imminent. In a statement at the time, they explained that “there was a lot left undone…we were so young and volatile…Let’s face it, things are probably even more fucked now than they were in the early 80s…and we are even more fucked off!”. Well, with the political drive still safely intact, what of the music? 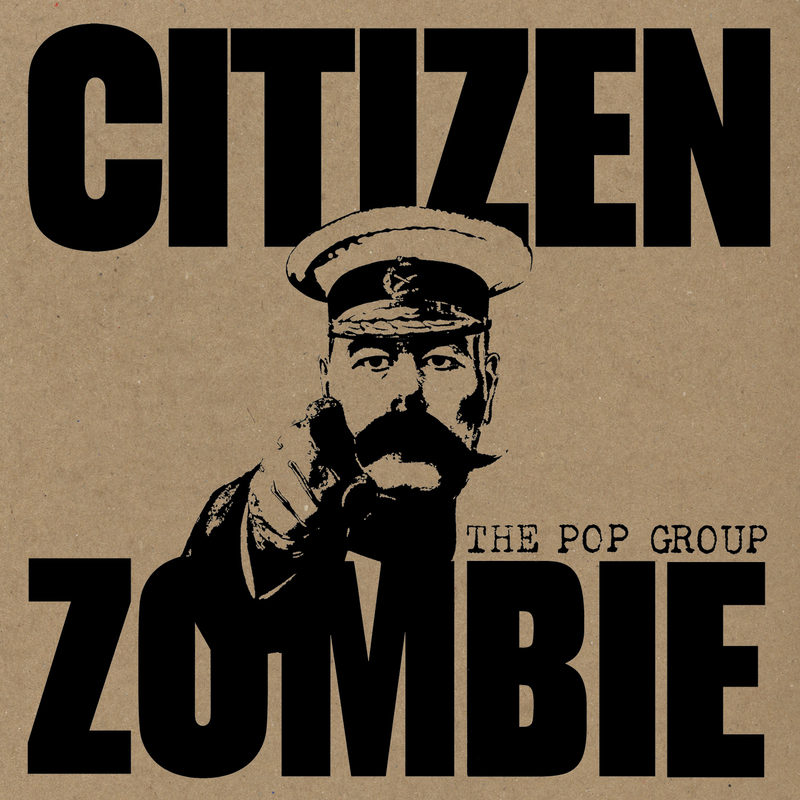 THE POP GROUP‘s Citizen Zombie is confusing in that it’s either a tongue-in-cheek inside poke at political righteousness by holding up a similarly ridiculous mirror, or it’s just plain cringeworthy in places. The lyrics taste dull on the tongue, one of the premier examples being second single Mad Truth. ‘It’s time to make a stand’ is the catch-cry that rises awkwardly to the surface, ‘the future’s in your hands’. It’s a call to rebellion, sure, but it’s dry and powdery, uncomfortably obvious for a collective of weathered and presumably wise musicians. Nations scurries down a similarly flashy path; a spoken-word string, it tries to emanate the disorienting static similar to a radio autotuning, voices crisscrossing one another with rising urgency. It laments everything from people chained to their televisions, the exchange of currencies, remote viewing, apathy; all fair hits, but nothing especially boundary-pushing. It’s certainly more accessible. The beats bounce in smooth repetition, rarely straying. The sound is slightly angry, sometimes, but not enough to scare anybody away. There are flashes of pleasure, usually found in the instrumental jams, but they are often drowned out by their flashier counterparts. 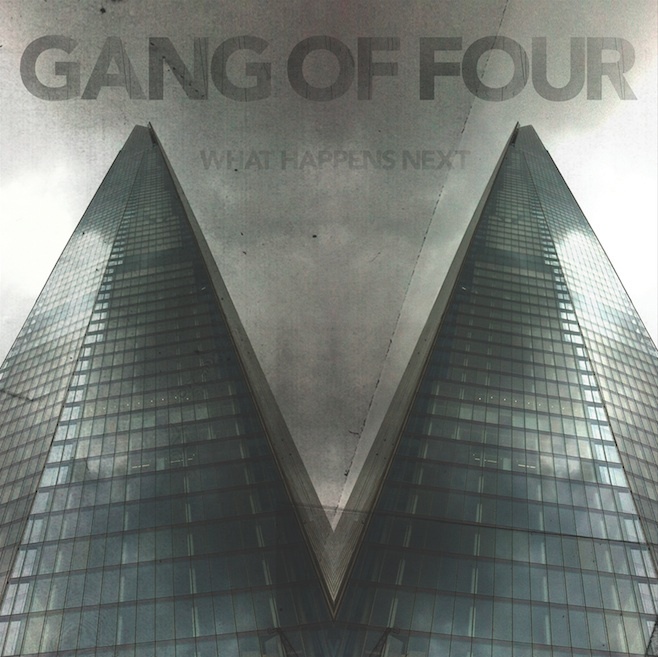 GANG OF FOUR‘s What Happens Next? follows Content into fairly accessible territory. Perhaps the most interesting change for the GANG has been the departure of vocalist and primary lyricist Jon King, leaving guitarist and sometime vocalist Andy Gill as the sole original member remaining. 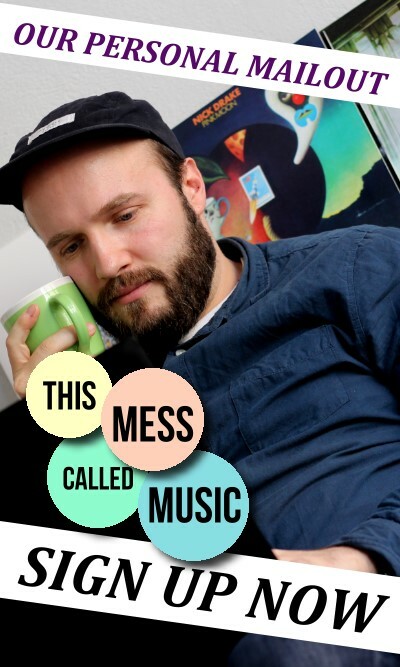 Gill’s first move after taking the project entirely under his own wing has been to make the project more porous, opening the music up to a whole host of collaborators. Alison Mosshart of THE KILLS appears on vocals in Broken Talk and England In My Bones. German rockstar HERBERT GROENEMEYER was also involved, Gill tailor-making the track The Dying Rays to match his angsty, powerful voice. Not only does What Happens Next? open itself to outside contribution but Broken Talk has also been recorded in both Chinese and Brazilia Portugese – the former by Hua Dong of REBUILDING THE RIGHTS OF STATUES, the latter by Brazilian heavyweights LEGIAO URBANA. Neither of the recent records can match their weighty predecessors; what’s curious, however, is the way that we’ve come to expect this with ‘comeback’ bands. It’s worth noting here that GANG OF FOUR differ from THE POP GROUP in a major way – while forming numerous member constellations over the years, their hiatus’ from recording and touring have been slight, particularly in the case of Andy Gill, who is continuing to steer the ship in the absence of his former bandmates. In this case it’s a trajectory curve, Gill experimenting and metamorphosing his sonic experiment into new forms. Fair enough, we say. There’s no reason why those who fell for the group on the pretext of Entertainment!‘s merits more than three decades ago should necessarily expect to fall for what Gill is doing now; perhaps this more open and accessible lean will garner them a new legion of fans. For THE POP GROUP, it reads a little more curiously – the band have been absent for that entire time, almost reappearing in a vacuum with an attempt to pick up a long-ago left-off thread. Perhaps it’s more useful to release the record from its context and see it as a bubble floating by on its own. In any case, the projects that either group decide to dabble in now should not dampen the fire that their earlier works continue to stoke – while the music they’re creating may have changed, the world that their eponymous records took aim at certainly hasn’t.